For all you pesky festival junkies heading to Indiependence this weekend here’s something that will make your life ten times easier, or harder,when it comes to compiling your list of must see acts. 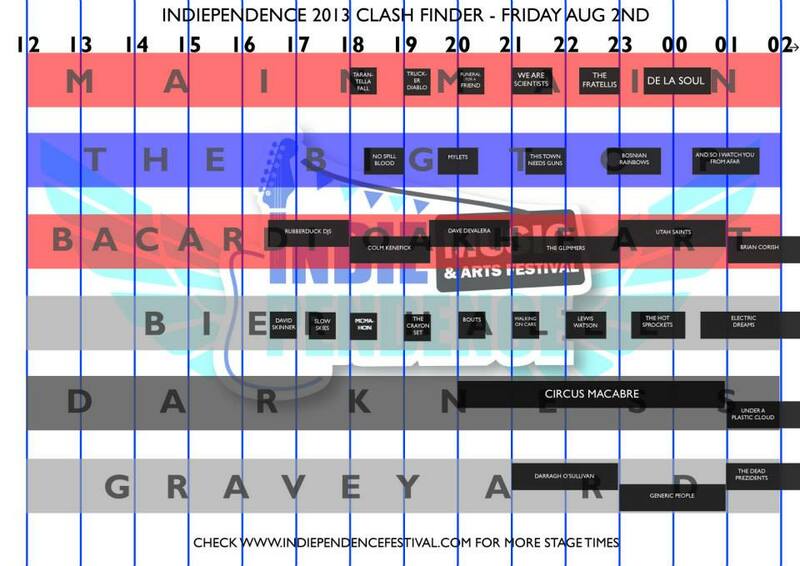 It’s called the Clash Finder and can be used to compare all six stages of the festival for any given hour. But if you would rather pick your must-see acts based on my opinions, then be sure to check back on the blog tonight. 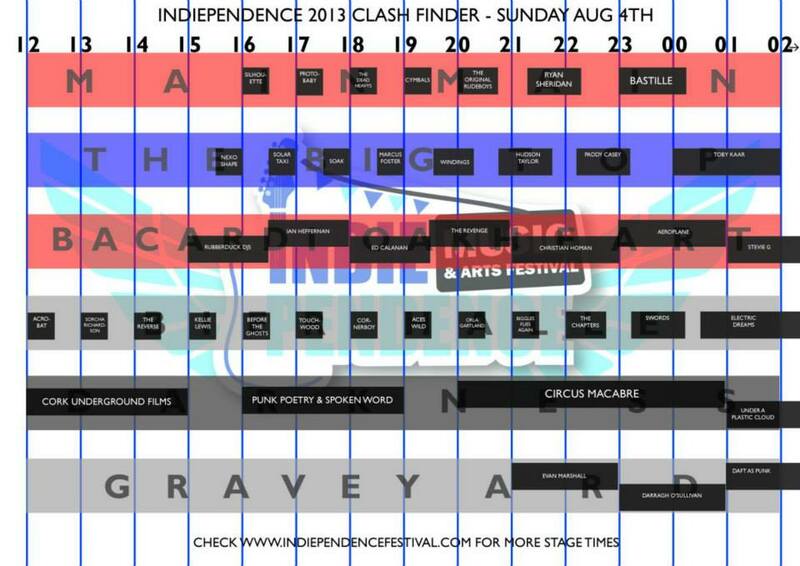 I will be posting my ’10 acts to see at The Indiependence Music and Arts Festival, or I will find you, and I will kill you’. It’s a bit of a mouthful but hopefully I’ll have the title sorted as well as the accompanying playlist by tonight. Happy planing!! Oxegen & Electric Picnic Infographic…Why not sure! !